2018 September UPDATE: New study out about bee gut microbiome, observations of its findings included in the end of the piece. 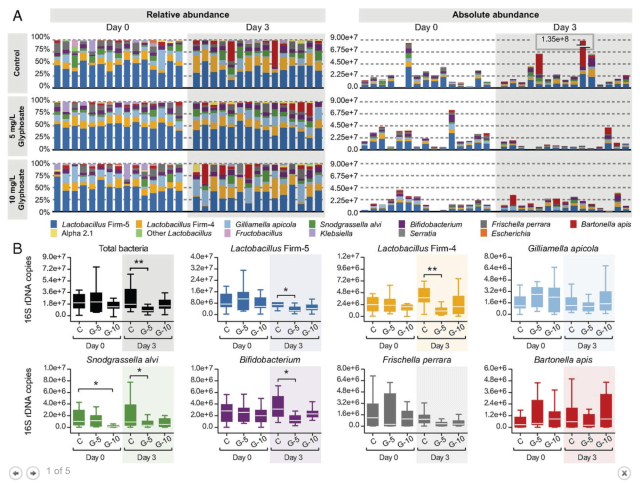 This particular work on bee behaviour comes from one lab in Buenos Aires headed by Dr Walter Farina, where they have published three papers that claim glyphosate impairs bee learning in some ways. The study of bee cognition is certainly a fascinating area. 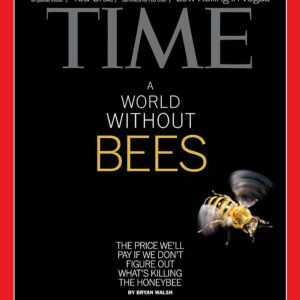 The group’s 2015 paper on bee navigation found that bees fed with a sucrose solution with 10 mg/l of glyphosate took longer time to fly home. Let’s take a look at their experiment. 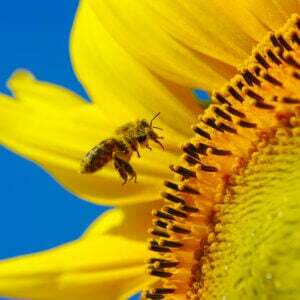 They trained bees to come collect sucrose solution at a feeder. They then captured them at the hive, tagged them and glued a radar transponder on them, fed them sucrose with or without glyphosate, released them at a new location, and recorded their flight back to the hive (or feeder). They then tried to catch the same bees again at the feeder after that, to drop them again at the same release location and see if they had learned something about finding their way home. After this they tried to re-capture the bees, but only managed to get hold of four bees in the high treatment group. All four re-released groups flew back home at very similar times, between 3-11 minutes, which by the way is a range where the first high treatment flight-time falls in too (see A in the next figure below – why they have the scale so zoomed out this time, so that comparison to the first figure A is not as clear, I don’t know). The range was similar between releases, with no clear learning effect for any group. The flight times to the feeder were similar too, apart from the high treatment group, which was actually faster. Of course, at this point each flight-group studied had between 1-4 or 1-12 bees (…), and so nothing was statistically significant. When you study something this subtle, with bees flying this way or that at 15 minute intervals, the situation is chock full of surprising and unaccounted variables – weather conditions? Other animals? Variations in the manual handling of the bees? What about parasites and disease? The nosema fungus, for instance, is specifically known to cause learning deficits in honeybees, and the Deformed Wing Virus has deleterious effects on foraging. The Mad Virologist has touched before on the shortcomings of bee-studies that make the mistake of not accounting for the variable of bee diseases. 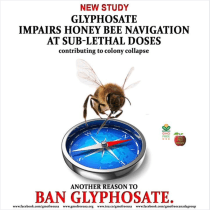 To say anything about the real world, of course, this kind of research should preferably be presented with a connection to the overall well being of the hives, following the pattern of actual glyphosate residues in the bees’ environment. Otherwise all this is very hypothetical. The paper also lists number of bees that did not return to the hive, period. In total 26% of the bees never arrived back at the hive. That seems a rather alarming percentage. If at any one random time when four bees set out from a hive, only three return, it sounds like an untenable situation in the long run. Nowhere in their paper could I find discussion about what might have caused the large rate of non-arrivals. 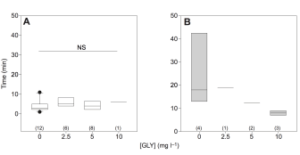 Glyphosate concentrations used in the study, 5mg/l and 10mg/l, are quite high. Finding bees regularly exposed to these levels in the field is questionable. As I wrote earlier, glyphosate residues in pollen and nectar undergo very rapid breakdown, presence is at an order of magnitude smaller (ug/kg rather than mg/kg). 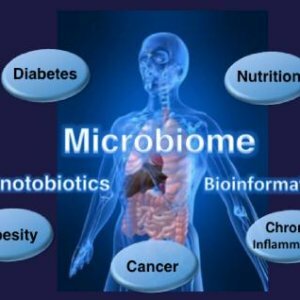 [at the dose 25 mg/kg] during a two-week exposure study on rats, glyphosate and its formulations ‘had very limited effects’ on the gut bacteria. Why? Because the gut is a formidable cornucopia of freely floating amino acids! 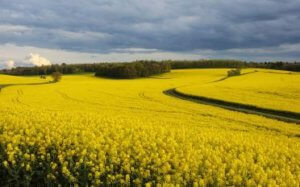 The study strangely finds changes in bacterial levels at the lower concentration of glyphosate only, and not the higher. This invites question about whether these findings are robust, or a result of noisy data. What makes things further suspect, is that to explain away the lack of effect at 10 mg/l, they say it could be because those bees got lost on the way home… and to support this point, they uncritically refer to the very studies I’ve laid out in this piece earlier, which carry very little weight due to the tragicomic-level weakness of their methods. 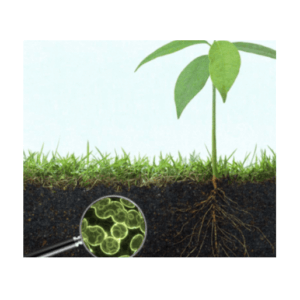 The study states: “glyphosate may affect bacterial symbionts of animals living near agricultural sites.” They correctly use the word ‘may’, as the evidence they present is certainly not enough to confirm such an effect. 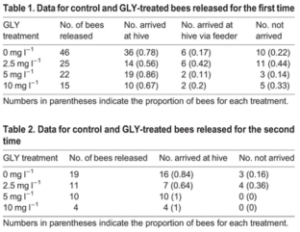 If there truly was such an effect from glyphosate that made bees more susceptible to illness, we should be able to confirm this in mortality/growth rates in large field studies. 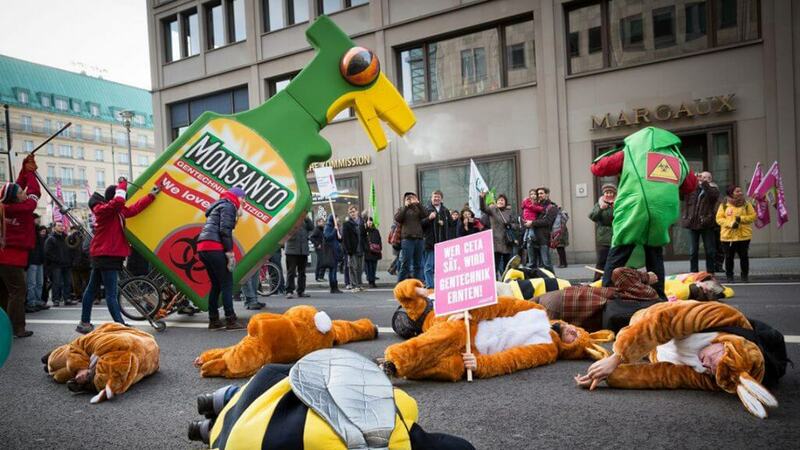 Again: the evidence so far, even of glyphosate levels ten times as high, does not demonstrate such an effect. this research team did not discuss these new findings in light of their previous work, according to which antibiotics that beekeepers use in their hives are the cause of altered gut microbe communities in honey bees. 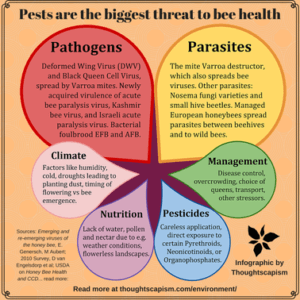 This article was originally published at Thoughtscapism as “No, Glyphosate Is Not a Threat to Bees” and has been updated by the author to respond to the recent academic study about glyphosate’s potential impact on bee gut microbiome, and is republished here with permission.